It’s official, the “modern times” are here to stay. We are living in a transition from the great eras of technology: the Selfie Era, which began in the early 2010s, has always been very focused on an ego-centered experience. Now, the Live Era comes to present a new form of expression and communication with the world. With it, the need for devices that accompany this spontaneous and collaborative format of communication has grown and gained prominence. 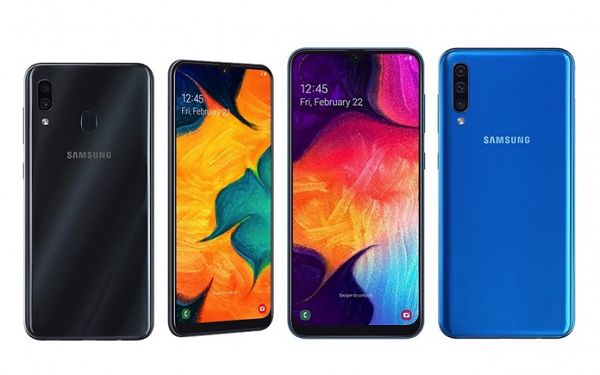 The announcement was made in São Paulo, in a mega-event for Latin America and introduced the six (6) smartphones that are a part of the Galaxy A Series. 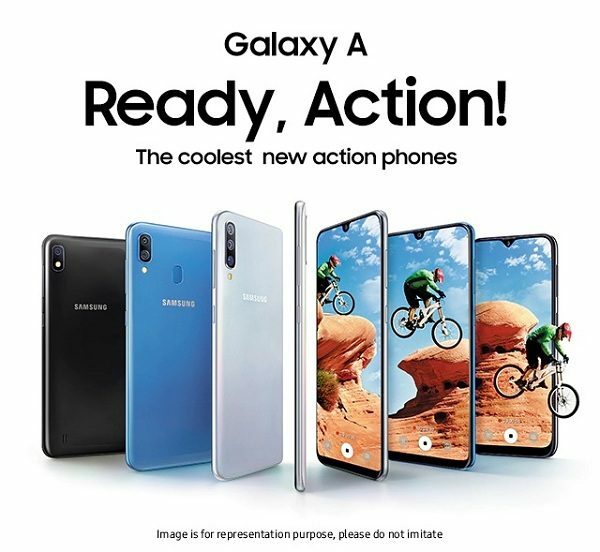 Samsung, following the new consumer behaviors and setting a trend in the market, now features six new devices that promise to revolutionize the way people connect today: the new Galaxy A series, designed for the way we connect today. When the user selects the Selfie mode in the camera app, the three rear cameras automatically rise from the back of the phone and rotate: three-camera quality in the front of the phone, delivering high-quality images with the same high resolution. The device’s main camera features 48MP, plus a 3D Depth camera, which offers Live Focus for videos, giving more depth to the image. The Ultra Wide lens completes the trio of the smartphone, capturing photos at the same viewing angle as the human eye. To top it off, the Galaxy A80 also features Super Steady mode for video recordings, helping the user to record stable videos effortlessly. 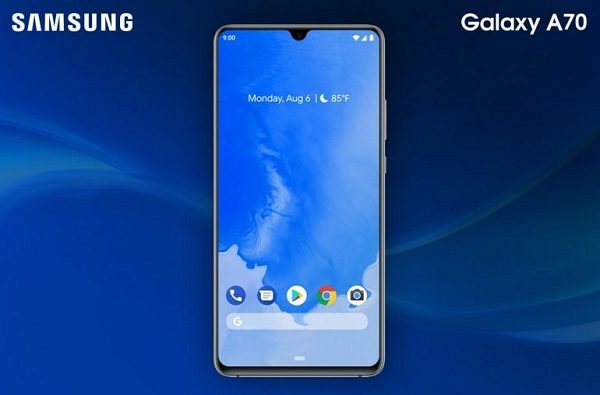 The Galaxy A70 arrives with a 6.7-inch screen with an Infinity-U Display, the largest screen in the Galaxy A series. With it, the user will have an even more immersive experience in their daily activities. 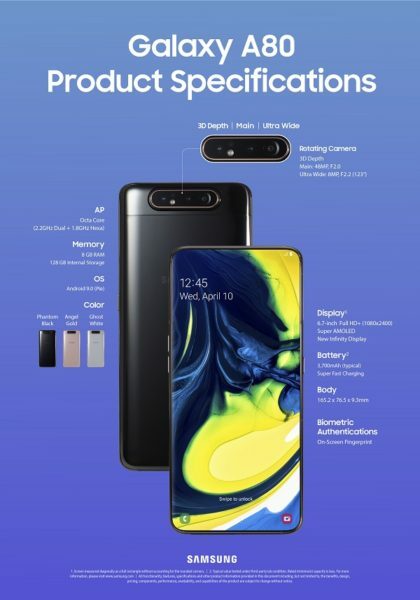 The device will be available in four colors – blue, black, white and coral, the color of the year – with iridescent effects, revealing several colored tones depending on the light reflection. These two news smartphones offer incredible enhancements for mobile heavy-users which only need the basic functions of a device. 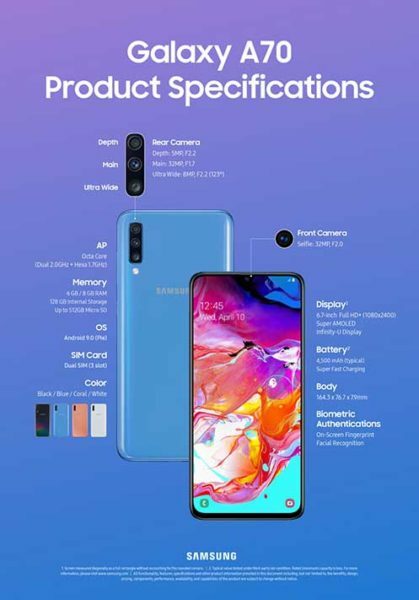 The Galaxy A50 features premium camera features, long battery life, fast charging, and Infinity-U display. 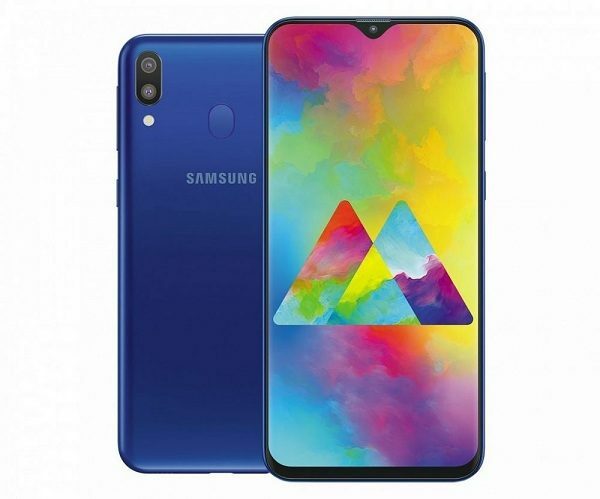 The Galaxy A30 is perfect for those who are on the go every day: the device is equipped with a powerful 4,000mAh battery – quick charging also applies to this device. 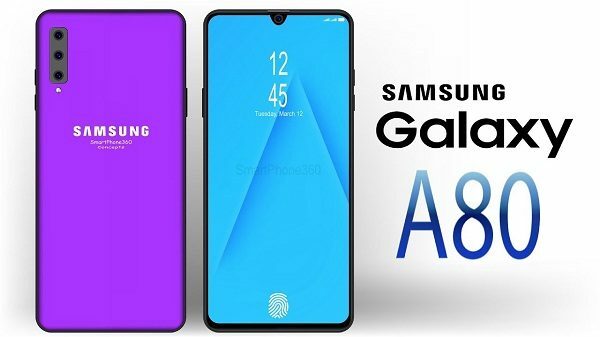 Perfect as entry smartphones, the Galaxy A10 and A20 are the beginning of a story with Samsung. Available in three colors, the Galaxy A10 features a 6.2-inch HD+ Infinity display and easy one-handed navigation. The Galaxy A20 features a 6.4-inch AMOLED HD+ Infinity display, dual rear camera and UltraWide lens, which captures moments without leaving anything out. So with these five (5) A Series smartphones, Samsung has declare that they have a device to suit every pocket that is ready for the Age of Live Selfies!